Optim Spine is a collaboration of Optim Orthopedics and the physician-owned Optim Medical Center-Tattnall. With dedicated physical therapists, anesthesia, rehabilitation pain management specialists, and surgeons—both orthopedic and neurosurgical—Optim’s comprehensive team is like no other in Georgia. 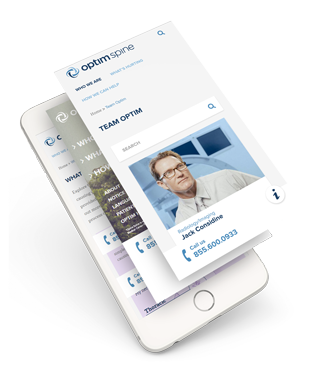 Our team architected, developed, and delivered a Drupal publishing platform serving rich-media animation content for Optim’s healthcare website with Agency Pure using Drupal 7. Complete designs were not initially available on day 1 of development. Long UX design review cycles and strict development deadlines called for a semi-agile implementation to ensure success. Our front-end developer worked closely with Pure’s designer to refactor the theming iteratively over the entire project. Optim had a long-term vision to create sub-sites for all service offerings. Drupal was the natural choice, with its robust content management capabilities and the multisite configuration features Optim required. Going beyond the typical user experience design, the design team implemented custom popups for primary healthcare service and medical information pages. This was done via jquery animation and default overlay block combinations which cause popups to animate and bounce out from landing content list pages.Varnish cache was also implemented to ensure smooth performance. Fostering comfortable, seamless multi-device experiences was a main focus. Two breakpoints were applied for desktop and mobile responsiveness and as the project progressed, an intermediate tablet size breakpoint was added.The design also included regions and sidebars which become either active or disabled—each based on device screen size.The team applied these with Drupal 7, using a combination of contrib modules like breakpoints and custom code. To make the user’s experience simple and sophisticated, Axelerant and Optim implemented location based listing and searches with vanilla Drupal views. Site visitor locations are visualized on the map, making it even easier to locate the right facilities and doctors for them with just a few clicks. 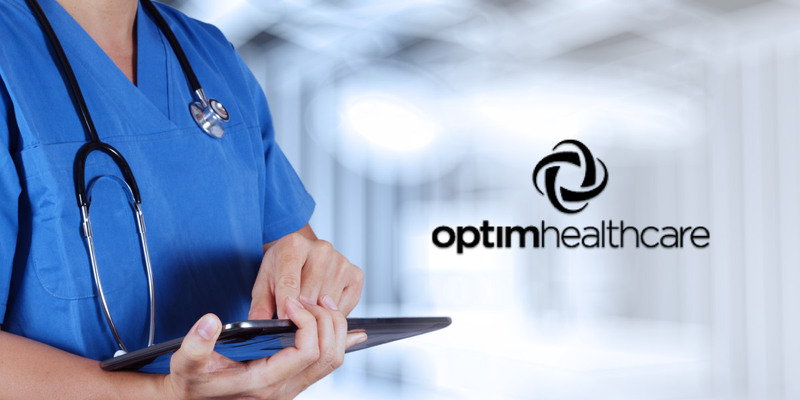 Optim’s partnership with Viewmedica brought interactive animations into the mix. Our team customized Drupal’s CKEditor to insert these hosted animations directly into editorial content to help showcase Optim’s services. Our development team instituted fast appointment bookings with a call-to-action insertions on applicable pages. Optim needed visitors to have easy uploading capabilities so MRI scan reports could be attached to appointment bookings. Axelerant customized the Drupal webforms module to make bookings possible from anywhere on the site.